At Castle Hearing we understand all our customers have varied personal requirements. Our comprehensive range of hearing aids allows us to offer a variety of solutions to meet them- regardless of your hearing difficulties or preferred type of aid. 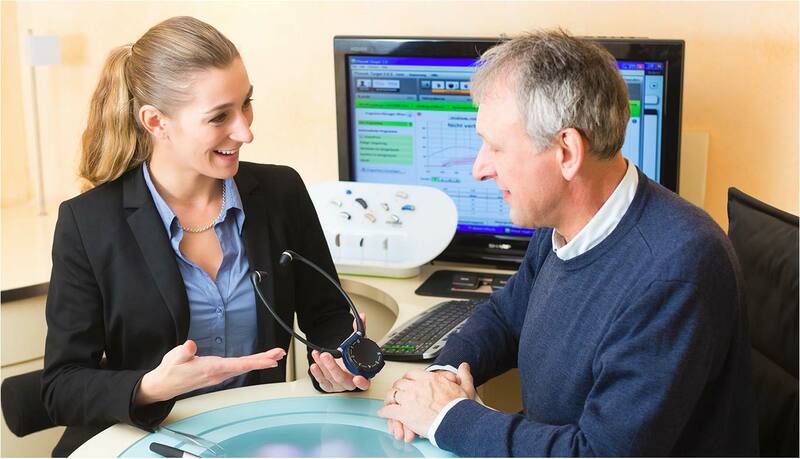 As an independent hearing aids specialist and professional practice, we can provide you with hearing assessments and unbiased information on what hearing aid best suits your needs. We strive to provide our customers with competitive prices for all of the top hearing aid brands and are proud to offer a friendly and professional service. Nothing is more important to us than giving our customers confidence in their own hearing abilities. We offer a comprehensive after-care program with continuous support, a repair service and a two year warranty on our hearing aids; giving you the important peace of mind that your hearing is always being looked after. Following a visual examination of your ear, ear canal, ear drum and a pressure test of your middle ear a Pure tone hearing test is performed. The Pure Tone hearing test is a key to providing a measurement of your hearing sensitivity. It helps us determine the type and degree of hearing loss. You will be required to use a headset through which a series tones are presented at various pitches (frequencies) and volumes (intensities) to one ear at a time. You are required to press a button or raise your hand each time a tone is heard, no matter how soft. The softest volume (intensity) required to hear each tone is recorded on an audiogram. Although essential for determining type and degree of hearing loss, pure tone tests do not provide a clear depiction of your ability to listen to and understand speech. Speech is complex and many factors impact on our ability to understand it, particularly in challenging or noisy environments. Rather than just relying on a tonal stimulus to detect hearing, speech tests in quiet and in noise provide a better perspective of a person’s functional hearing. Rather than relying on a tonal stimulus, speech audiometry assesses the ability of an individual to discriminate speech. This gives a much better ‘real world’ perspective of the clients hearing loss. Furthermore it carries additional diagnostic information as it is a good indicator of where in the auditory system the hearing loss lies. This is important as the location of the hearing loss can relate to the functional benefit if you are fitted with a hearing solution. Speech-in-noise tests easily measure the ability to hear speech in noise, testing in realistic situations such as social gatherings and noisy environments. This better reflects ‘real-world’ hearing and listening ability.